Thread: Do You "Stuff" Your Applique With Batting? Do any of you stuff your applique? If so what do you use? I want to try Sharon Schamber's applique stabilizer but I probably won't be ordering any time soon. Right now I'm using freezer paper and a glue stick for my applique flowers - do any of you add a little batting with the freezer paper method? I do needle turn applique and have used a bit of leftover batting to emphasize an applique motif. It would be just as easy to place a piece of batt doing freezer paper method I would think. I took a Baltimore class at LQS and she had some fluffy stuff that she gave us, but I think that scraps of batting would be the same, maybe high loft poly bat. It was fun doing it and came out nice. After removing the backing and freezer paper, you can simply glue (or spray baste) a cut-out piece of polyester batting underneath the applique. You want to cut the shape out of batting, but slightly smaller. Poly is puffier than cotton. If you want, you can use water dissolvable thread to sew the batting in place, but this is not usually necessary. Layer and sandwich the quilt as usual. When quilting, you want to quilt around the applique shape (not through it!). Edit: Unless you try it out on a sample piece first, I would stick to low-loft or mid-loft polyester batting for this technique. 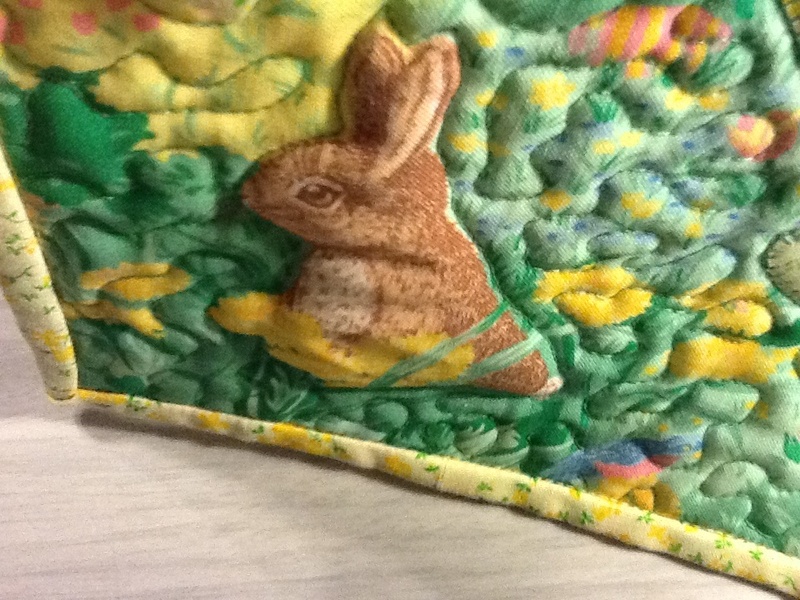 Depending on the applique, high-loft batting can distort the top and make quilting around the appliques more difficult. When I wanted some trapunto effects when I did my appliqué, I sewed around the outline with water soluble thread with a layer of Hobbs 80/20 batt under the background. I trimmed the batting excess off and then sandwiched my quilt as usual. I have also tried this method on a little cheater door sign and I will try and post a picture of it. It also helps to quilt the background closely around the appliqué to help it puff up. Last edited by Tartan; 05-23-2013 at 11:08 AM. Thanks for the tips guys! This was very helpful. Tartan your bunny looks wonderful! I think I'll try stuffing - Lorli I wonder if it was just poly-fil that you used to stuff? I'm going to pick some up and tray that. My applique pieces are very small so this will be a tricky experiment!